Andrew Connolly has over 10 years of commercial real estate experience working with property owners, developers and regional and national retailers. A native New Yorker, he has an intimate knowledge of New York’s Metro Area and the retail industry. He also has an astute understanding of national retail business development and brand expansion strategy. 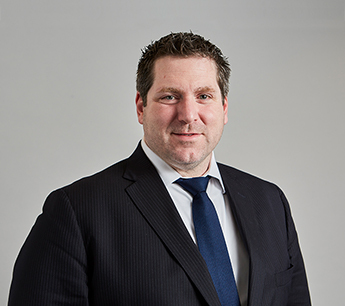 Prior to joining RKF in 2012, Andrew was Managing Director in the retail group at Grubb & Ellis Real Estate. While there he created strategic roll-out for Harbor Freight Tools’ New Jersey expansion. Additionally, he brought several European tenants into the market for their first locations as well as implemented their U.S. expansions. Andrew worked with an impressive list of tenants, including Verizon Wireless, PNC National Bank, Camper Shoes, FIKA Espresso, Claire’s Jewelry, TeaGschwendner, Paulaner Brauhaus, JoS. A. Bank, JPMorgan Chase and Katie Lydon Interiors. Likewise, Andrew has represented many landlords, including SJP Properties, Sherwood Equities, Premier Equities, Heller Realty, Worldwide Holdings, Palmer Square, Young Woo, Wharton Properties, Kenmore Associates and Stagshead Reality. Previously, Andrew worked as an Associate at GVA Williams Real Estate. There he served as the retail account manager for Verizon Wireless in Long Island and the boroughs and ran disposition assignments for Genesco Brands. Andrew began his real estate career as Associate General Manger for the Shelter Group Restaurant’s Rosa Mexicano where he worked as an internal resource during the restaurants North American expansion initiative. Andrew also brings marketing knowledge to his clients, having spent three years as Marketing Coordinator for Martha Stewart Living Omnimedia in the Ad/Sales/Marketing department working on brand building and product marketing. He also has two years of construction and development experience, having served as a partner with the Seaworthy Masonry Company of Brooklyn, NY. Andrew earned a Bachelor of Arts Degree in History from New York University. He is a licensed Salesperson in the states of New York and New Jersey and is a member of the International Council of Shopping Centers.